Neighbors | Zack Shively.The Boardman library does many children events with different themes. The medieval theme allowed them to play a number of different games and hear interesting stories about knights and kingdoms. 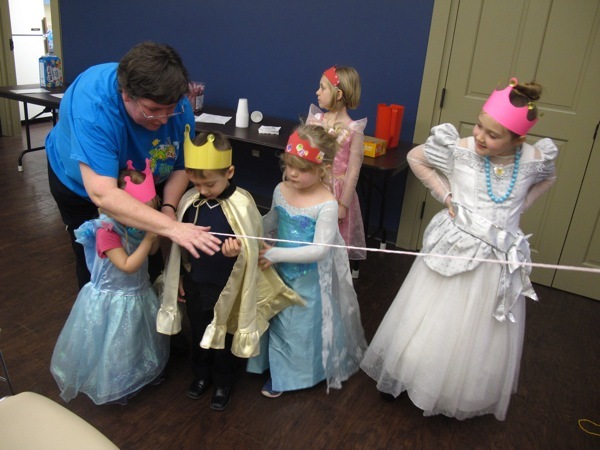 Pictured, librarian Karen Saunders helped a child make a Rapunzel braid or fishing line out of yarn.